I’m a writer and editor based just outside Boston, Massachusetts. I’m passionate about books, my family (there’s a hound in the mix), and fiber arts. I’m a booklover and a reader who has studied children’s literature in the US and UK. 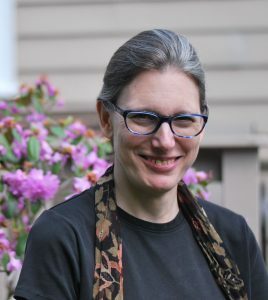 I review and advocate for new middle grade and young adult books on my blog MGYABookReviews.com. 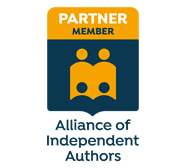 I’m an active member of the Society of Children’s Writers and Illustrators, the Editorial Freelancer’s Association, and a partner member of the Alliance of Independent Authors. I’m a professional writer and editor. I’ve been making my living as a writer and editor for over twenty years. I’ve written everything from educational materials to marketing and blog pieces, middle grade novels, and even personal essays. I know what it’s like to be on both sides of Track Changes and comment balloons, so I edit with clarity and compassion. I’m a communications expert. I’ve worked with children and adults as a teacher and museum educator. I have a degree in child development and a love of people that nearly equals my love of stories. I want to help you make your story the best it can be. What can an editor do for me? As an editor, my job has several layers: reader’s advocate, author’s partner, and nitpicker. Reader’s Advocate: I’m there to make sure that your manuscript is clear, engaging, and correct. As writers complete many drafts of a novel, they learn their story intimately, but that intimacy can lead to trouble differentiating between what’s on the page from what’s in their head (or in a previous draft). I bring a fresh eye to a manuscript and look for things that don’t make sense, for consistency errors, typos, grammatical errors, etc. Author’s Partner: I work to present the story in the best light. Sometimes that means finding places where the pacing is weak or the characterization needs work. I may simply point out these problems, make suggestions for changes, or brainstorm solutions with you. Nitpicker: When a story is ready or the publication date is looming, I’m there to polish the manuscript. I’ll check the grammar, spelling, punctuation, and provide you with a style sheet so you can make sure later changes are consistent. You’re worried about plot holes or you can’t get your character out of that jam. I can work with you to solve these developmental-level problems. You’re not so sure the sentences flow properly or the dialogue sounds natural. I can help with sentence-level concerns to make your story easy on the ears and the eyes. You want your manuscript dressed in its Sunday best before it goes out into the world. I can proofread your manuscript to make sure it’s sparkling and error free. Will my manuscript still seem like my work when I get it back? Yes! I work in Microsoft Word using the Track Changes feature. When you get your document back, any changes I’ve made will appear in color. By clicking on the change you can decide to accept or reject it. You’re the author, so you make the decision. In addition to changes, you may find queries in the manuscript either in comment balloons or within the text. These are things to consider, explanations of text changes, more global concerns, or reader’s reactions (Au: This made me cry! ), all meant to help you as you complete your edits. What if I have questions after I get my manuscript back? Every contract includes a follow-up consultation within a given window of time. This provision ensures that I have time for clients when they need and expect it. If you see a need for further consultation or a further round of edits, you can purchase an additional package or book consultation time on an hourly basis. 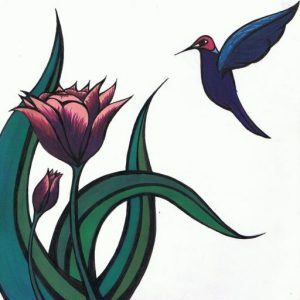 Honner Billings makes drawings that focus on nature themes, use exquisite color palates, and are intentionally reminiscent of stained glass.